Close-up. Actor Jericho Rosales (second from left), with actress Yen Santos (center) and Elena Chua (left). Smile. 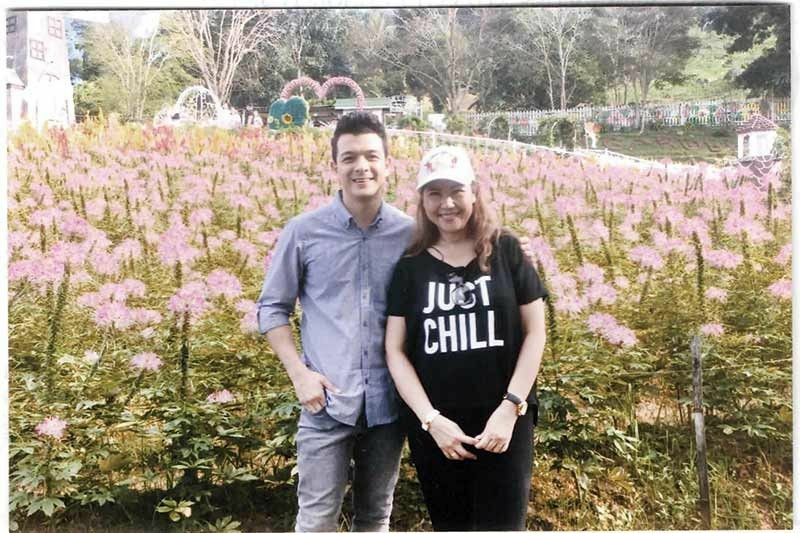 Among the flowering jewels are actor Jericho Rosales with flower farm owner Elena Chua. At Work. 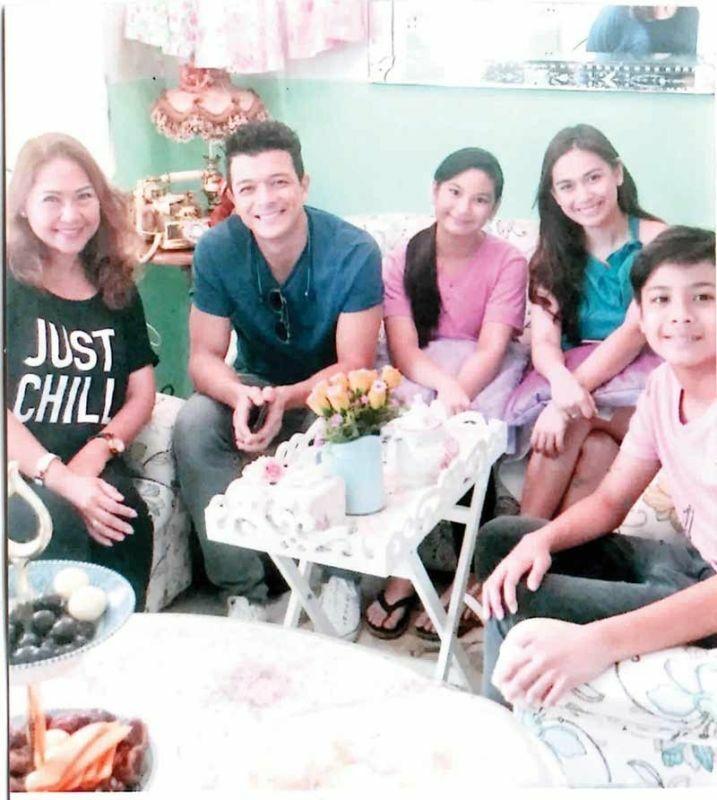 Actor Jericho Rosales, (third from left), with leading lady Yen Santos (seated, fifth from left), director F.M. Reyes (left) and Little Amsterdam owner Elena Chua (second from left). THE now popular and productive Little Amsterdam Flower Farm in the mountain barangay of Sirao, Cebu is teeming with activity—and we don’t mean just the hundreds of local and national tourists that saunter south, but TV mini-series shoots from various studios. Lately, it was the cast and crew of an ABS-CBN “teleserye” that swooped down to film a series of authentic and realistic segments for the show. 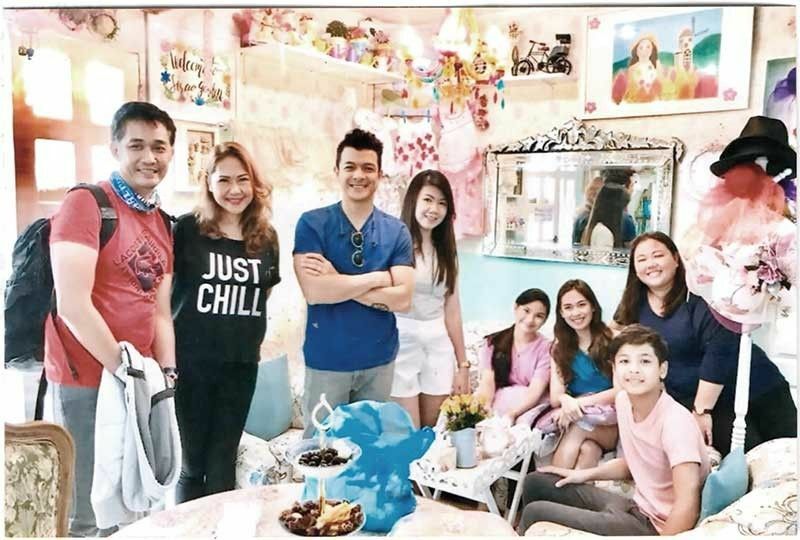 “Welcome” was the warm greeting from Little Amsterdam proprietress Elena Sy-Chua, who was pretty excited at the sight of good-lookers: actor hunk Jericho Rosales, his leading lady Yen Santos and film director F.M. Reyes. A complete coterie of crew members made up the party. Highlight of the film episodes were those of the breathtaking flower buds and blooms covering hectares! Perfect hostess Elena had the entire cast and crew for lunch, too! Another occasion was the merienda when Elena played hostess to her two co-retirees from their former employer of more than 25 years, Cathay Pacific Airways. The venue was another area of the huge flower park, the English Teahouse: a comfortable and ethnic enclave seating 12, where the trio shared various tea flavors and scones! Mmmm! This time, it was birthday celebrant Perla Agudo who chose the Kabilin Lounge of Golden Prince Hotel and Suites for her special day. Good friend Elena, again, offered to treat us to the sumptuous afternoon merienda buffet, which included an enormous array of fave local delicacies. By the way, here’s a unique promo for senior citizens (SC) at Golden Prince Hotel’s Le’Mon Restaurant. Every Friday for lunch or dinner, SC diners can avail of a whopping 30 percent discount. How’s that for a year- round experience?